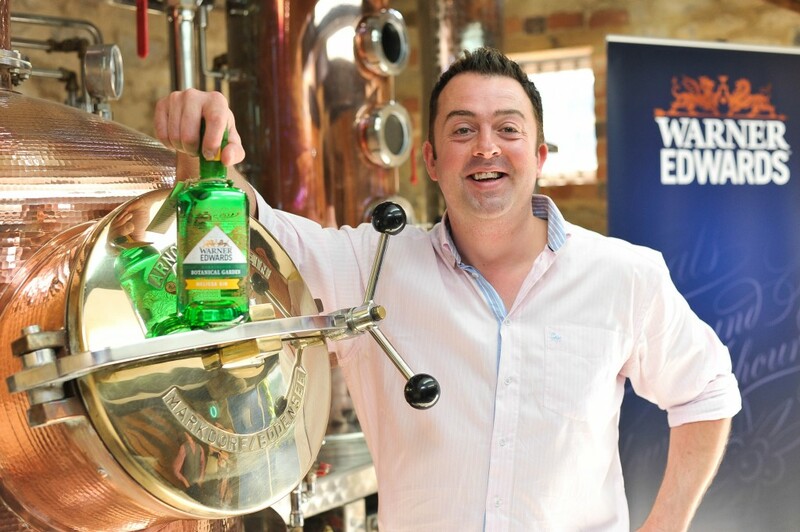 Our latest Q&A see us chatting to Tom Warner from Warner Edwards Distillery. The distillery is housed in a 200 year old barn on Falls Farm, located in the picturesque village of Harrington, Northamptonshire. Each batch of gin is small and uses the farm’s natural spring water, grain spirit and home-grown ingredients from their farm. Every bottle produced is carefully handcrafted, the filling to the wax seal and label filling. 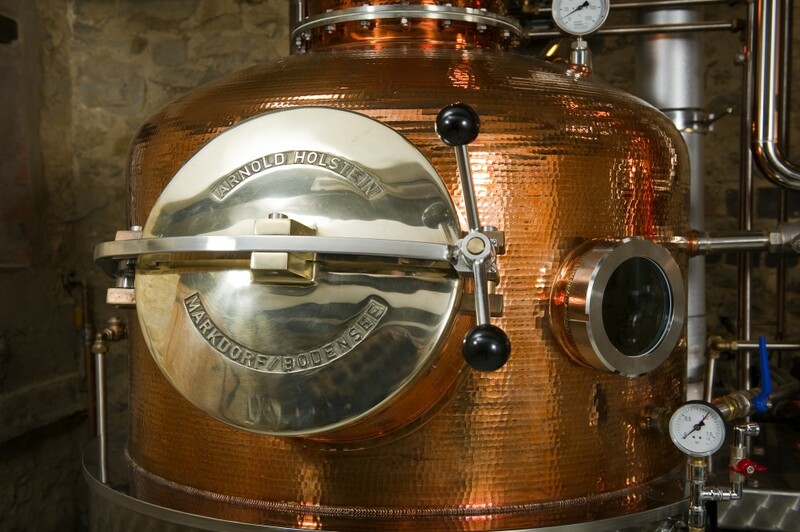 What inspired you to start distilling gin? Entrepreneurialism, being in control of my own destiny, my father and feeling trapped working for someone else, were all inspirations to start a business. I wanted to work on the family farm but diversify the revenue streams as traditional agriculture is exceptionally hard graft and not very well paid. After spending six months working on looking at different businesses ideas based at the farm, the penultimate idea was to distilling floral crops to produce essentials oils. While looking at this idea we soon realised the same equipment could be made to produce alcohol…WHY WERE WE TALKING ABOUT FLOWERS!?!? The more we researched the area the more exciting it became, so we decided to embark on the journey to become craft distillers. We didn’t have the cash flow to produce aged spirits, which can only be sold after three years. This meant white spirits were the way forward and with white rum and tequila not synonymous with Great Britain, we narrowed this down to vodka and gin. Being gin drinkers ourselves this became the starting point of making our dreams become a reality. What is great about gin is that you can be creative with flavours and use the fantastic array of produce we have in abundance in and around our farm to our advantage. Supporting our gut instinct and personal preference were the many market studies which underlined that the gin share would grow. What is the inspiration behind the name and logo? The name was hotly debated for some time between Sion and I. Sion Edwards who co-founded the distillery with me in 2012 comes from Wales and I come from England. This meant that a lot of our thoughts focussed around our Anglo-Welsh heritage, George and The Dragon was very close to being our name and I remember not being able to sleep one night whilst brainstorming at Sion’s house, I had to get up and started drawing labels. Luckily, we sought professional advice and decided that putting our name on the bottle was true sign of the pride we had for our product, there would be no twee story, no made up heritage it was us making a bloody great gin! The logo is underlined focussed on the heraldry of the Welsh Dragon and English lion sat on a weather vane denoting Sion was from the West and I was From the East. W.E. symbolises Warner and Edwards, Wales and England, West and East as well as the Water and Elderflower we use on the farm…a higher power was on our side! The Welsh Dragon and English Lion can be seen holding a martini glass, illustrating how they are ‘United in Spirit’ which also happens to be our tagline! Are there any other distilleries which have influenced you? Independent distillation was very new in the UK and we were not coming from the industry, so we really had a blank notebook and no preconceptions to start with. During our research we discovered Sipsmiths and The Chase distillery who were about a year old and relatively unheard of. The knowledge that they had started and were being successful definitely spurred us on. We know that there are lots of weird and wonderful flavours added to gin these days. Do you have any plans to make further flavoured editions? Are there any flavour combinations that you think would work particularly well? 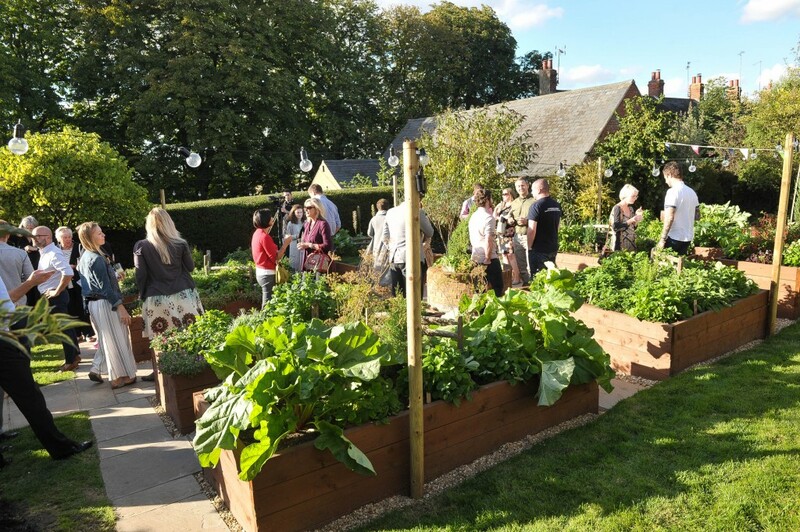 Our family farm, Falls Farm, in the depths of rural Northamptonshire has an abundance of natural springs and a wealth of hedgerow and garden ingredients which constantly inspire and motivate the team to produce delicious new flavours. In April 2016 the team began building a botanical garden next to the distillery to act as a flavour library for new product development. From this, the Botanical Garden Limited Edition range of gins was created using the flavour and aroma from various herbaceous plants from the garden to build into a selection of beautifully balanced gins. Our ‘Melissa’ Lemon Balm Gin is the first of the Botanical Garden limited edition range. Lemon Balm is a member of the mint family, also known by its Latin name Melissa officinalis. The 43% ABV gin is an herbaceous explosion on the pallet full, of fresh green notes; a robust juniper core is enveloped by a beautiful citrus and mint layer that makes this gin fresh and distinctive with a very delicate sweetness. Flavoured gins are where we are seeing a huge amount of growth, the gin category has drawn in a huge amount of consumers from the younger demographic and these guys want new flavours. The aim at Warner Edwards is to disrupt the market with gins that excite consumers but are also authentic enough to appeal to the traditional gin heartland. Our breadth of flavour (Rhubarb, Elderflower, Sloe and Melissa Lemon Balm) is a huge point of difference and it’s these premium and authentically flavoured gins leading the growth for the business. Our Rhubarb Gin has a truly regal history; made using a crop of rhubarb originally grown in the kitchen garden of Buckingham Palace during the reign of Queen Victoria. The rhubarb juice is extracted using a traditional fruit press and blended with the Harrington Dry Gin to produce an alluring pink gin that is voluptuous on the palate with a sweet and tangy royal rhubarb explosion. The popularity of our Rhubarb Gin shook-up the flavoured gins category and has since sparked many imitations, although only few have come close to our royally authentic tipple! It continues to remain our best seller and has seen year on year sales rocket by an impressive 350%. In November 2016, it became the first of our gins to gain listings in Waitrose stores nationwide. Looking ahead to 2017, we have some NPD that we are extremely excited about, along with a significant sales increase projected from upcoming new listings, on-trade activations and export uplift. I think there are lots of flavour combinations that work and we have our eye on but sometimes it’s difficult to distil one of the flavours you want. We have a lot of trials going on in our lab at the moment, most of these will be focussed on what we can grow in the botanical garden. What was your first drink and where were you when you had it? Champagne – I was seven at a wedding where I had been a page boy, I ended up singing with the band on stage! What drink can you no longer face having had one too many? I don’t agree with that rule, get back on the horse as soon as you can to avoid those issues. Tequila was a nemesis of mine for some time but that’s because I was drinking the cheap mass produced stuff, good Tequila is amazing!! What is the silliest thing you’ve done whilst drunk? I can’t really say, there have been a lot and most too silly to mention. I was a bit of an animal when I was young but I do remember a time we set a toilet on fire at a house party resulting in the toilet fracturing and causing a bit of a leak! Finally, do you have a favourite cocktail recipe you would like to share with our readers? When I am out I really love a Negroni or a short martini style drink, they are hard to get just right but when they are done well it’s an amazing drink. Shake all ingredients over ice and serve in a chilled martini glass, garnished with a mint leaf. Thank you to Tom and Warner Edwards for chatting to us.